Following the acquisition of SN Brussels Airlines and Virgin Express by SN Airholding, Brussels Airlines is the largest airline in Belgium and is based in Zaventem, Belgium.Lufthansa owns 45% of the airline and has an option over the remaining 55%. services within Europe as well as the Middle East, Africa and the USA. Brussels Airlines is a member of the Star Alliance. Capa Aviation. TORONTO � Travelweek boarded a Brussels Airlines plane as it was getting ready for a flight to Brussels to talk with Christophe Allard, Director, North America, about what he is excited about for the new year. The airline�s biggest news is that it will be launching a Mumbai route on March 6, 2017. The service will be the first-ever route to India for the carrier, with flights departing during the day to Mumbai on Mondays, Wednesdays, Thursdays, Fridays and Sundays, and will arrive late in the evening at Chattrapathi Shivaji International Airport. Upon return, flights depart Mumbai from the modern terminal 2 on Mondays, Tuesdays, Thursdays, Fridays and Saturdays nights, arriving in Brussels early the next morning. Thanks to this flight schedule, passengers can connect smoothly from Toronto, New York and Washington, and travel onward to Brussels Airlines� European and African destinations. Allard is also excited about airline�s Economy Privilege class, which gives clients a chance to upgrade from economy for Cdn$149. The upgrade will give clients more legroom, double the seat recline, a position at the front of the cabin, amenity kit, better headset, fleece blanket, hot towel, upgraded dinning, a glass of Laurent-Perrier champagne and a small box of Neuhaus chocolate. Clients can upgrade when booking their ticket or at the counter. Allard also wants Canadian�s to know that Brussels Airlines is the gateway to Africa with two north African destinations and 17 sub-Saharan destinations. Allard is also no stranger to Africa, having spent five years as the Special Project Manager Africa for the airline and, following that, another five years as CEO of Korongo Airlines in Congo. He returned to Brussels Airlines as Director, North America. We asked Allard for his list of favourite destinations to visit in Africa, all of which are accessible via Brussels Airlines. If you have clients who may be interested, make sure to share the videos on Facebook to encourage them to book. Responding to new market developments and to further enhance relations with the travel trade, Brussels Airlines reinforced its commercial structure as of January this year. Mr. Emmanuel Menu re-joins the company and will be in charge of Sales for Europe, the US and India. Meanwhile will Mr. Fr�d�ric Dechamps focus entirely on the Benelux market and Mr. Patrick Artiel will lead the corporate sales team for the home market in Belgium. More than ever does Brussels Airlines want to position itself as the partner of the travel trade and corporate customers in its Benelux home market, especially now that the Lufthansa Group has confirmed that it will acquire the remaining shares in SN Airholding, the parent company of Brussels Airlines. With the launch of five weekly flights to Mumbai, India�s commercial capital, a new continent is added to the worldwide network of the Belgian national airline. In anticipation of these new opportunities has the commercial structure of Brussels Airlines been reviewed accordingly. With Mr. Emmanuel Menu, who is as of today responsible for Sales Europe, North America and India, Brussels Airlines has attracted a sales manager with a vast experience and appreciation in the respective markets. Emmanuel started his career in 1996 as Corporate Sales Manager Benelux for Sabena, before moving to the position of VP Global Sales Sabena/Swissair. After his involvement with the launch of Brussels Airlines, he moved to the Indian airline Jet Airways to take up the role of General Manager Benelux. In that position he laid the groundwork for Jet Airways� launch in the Belgian market. At Jet Airways he evolved into the position of Regional Vice President Continental Europe and America. Now Emmanuel Menu joins again Brussels Airlines. �His many years of sales experience and innovative insights, as well as his extensive network and knowledge of the Indian, European and North American markets will without a doubt be of great value for Brussels Airlines� says Christina Foerster, Brussels Airlines Chief Commercial Officer before adding: �At the same time, Emmanuel�s arrival allows us to direct Fr�d�ric Dechamps� full attention onto our very important home market, where we want to further reinforce our sales activities. In parallel, Patrick Artiel will, in his new role, strengthen our relationship with our corporate clients. The new organization is a clear illustration of the importance that Brussels Airlines attaches to its relation with the travel trade and corporate customers�. 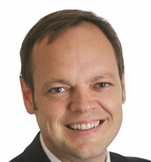 In charge of Africa sales remains Mr. Philippe Saeys who holds the position of Vice President Sales Africa. Brussels Airlines flies to 16 West African and 3 East African destinations including Entebbe (five times a week), Kigali (six times a week) and Bujumbura (once a week). Brussels Airlines, the �little airline that could� with an heroic effort during the Ebola virus outbreak in West Africa, has launched a campaign it hopes will help the continent recover from the lingering and devastating economic impact of the epidemic. Today, at the Residence of the Belgian Ambassador in Washington DC, Belgium-based Brussels Airlines launched an initiative called �Africa is not Ebola�. �For Africa to be able to flourish again, it�s time to remind the world of the beauty and economic potential Africa has to offer,� Brussels Airlines says. Today at the ambassador�s residence, Brussels Airlines� CEO Bernard Gustin explained the story of his company�s involvement in the campaign to the Belgian ambassador and a group of African ambassadors and other dignitaries. He was joined by representatives of the International Rescue Committee, which has joined forces with Brussels Airlines in this initiative. Gustin said the reason he remained committed to this cause was because, as bad as the epidemic was, the even more dangerous threat to Africa is the international hysteria crisisthat followed. �The Ebola crisis has to be solved by Africans supported by Americans and Europeans. The hysteria crisis has to be solved by Americans and Europeans supported by Africans,� he said. "Africa has the size of the US, China, India, Germany, France, Italy, Japan, the whole Eastern Europe, The UK �nd Belgium combined. Ignorance about its size is only surpassed by ignorance about the presence of Ebola in this beautiful continent. This terrible disease is only present in a small part of this huge content. Furthermore, the outbreak has passed its peak, and new cases are falling rapidly. The probability to be run over by a car in Belgium is many times higher than to be a victim of this terrible disease in Africa. Ignorance feeds fear. Knowing the facts gives you confidence to drive a car, take a plane, and visit a beautiful continent like Africa. Because Africa is not Ebola." Exactly five years ago, on 9 December 2009, Brussels Airlines became member of Star Alliance, the world�s largest global airline alliance . Thanks to its adherence, Brussels Airlines expanded its network with several new destinations and Brussels Airport became an important Star Alliance hub. With an inaugural event in the Brussels townhouse, Brussels Airlines officially became a member of Star Alliance on 9 December 2009. The membership in the world�s largest global airline alliance was not only considered an acknowledgement of quality and service for Brussels Airlines, but it was also a promise for many additional advantages for the passenger, including network expansion, an improvement of the loyalty program, access to airport lounges all over the world, new commercial products and services, to name a few. Five years later Brussels Airlines can look back and say it has delivered this promise. The airline added many new destinations over the last five years, on its short haul network (Basel, London Heathrow, Edinburgh, Hannover, Vilnius, Riga, Dubrovnik, Krakow, St. Petersburg, Alicante, Malta, Milan Linate, Catania, Olbia, Bastia, Figari, Marrakech and Agadir) as well as on its long haul network (New York, Washington, Cotonou, Ouagadougou and Lome). Since the entrance of Brussels Airlines in the Star Alliance, Brussels Airport has become a strategic hub. Several members of the alliance who before didn�t offer flights from the European capital, have now launched scheduled flights out of Brussels Airport. Other airlines have increased their flight frequencies or have expanded connection possibilities with Brussels Airlines flights. The announcement comes after the airline added six new European destinations for its summer 2015 schedule including Dubrovnik, Calvi, Lourdes, Olbia, Billund and St. Petersburg. The Bordeaux route will commence at the end of March 2015, operating four-times weekly, whereas the Zagreb route will begin operation on September 20, 2015, operating six-times weekly. Bordeaux will become the Star Alliance member�s twelfth French destination, offering Brussels Airlines customers easy access to the Unesco World Heritage city. The route will be operated using the airline�s Airbus A319 aircraft, and will be timed conveniently for both business and leisure travellers with a flight time of 1h 35 minutes. The Zagreb route will become the airline�s 18th European capital connecting to Brussels, and the third capital in Easter Europe after Warsaw and Riga. The flights will operate during the afternoon every day of the week apart from Saturday. The flight will depart Brussels at 14:05pm, arriving into Zagreb at 16:10pm, with the return flight departing Zagreb at 16:40pm, arriving into Brussels at 18:45pm. October 2014 By Brussels AirlinesOlivier Pr�vot, a Brussels Airlines representative in North America, recently spoke at the Africa Travel Association�s (ATA) Presidential Forum on September 22, 2014 in New York City and covered a variety of subject matters. Brussels Airlines is the official carrier of the ATA�s 29th Annual World Congress taking place in Kampala this November. Mr. Pr�vot spoke of the airline�s partnership with the ATA, and the discounted rates being offered to those who wish to book a trip to Kampala for the Congress in November. Brussels Airlines flies three times a week to Kampala from Brussels and offers daily non-stop connections from New York�s JFK Airport, as well as other points of origin within the U.S. with partner United Airlines. Beginning March 29, 2015, Mr. Pr�vot stated that the airline�s flights out of Washington, D.C. will be retimed to connect with most of their African destinations from Brussels. For those who do not live in the Washington, D.C. area, those travelers will be able to connect to the WAS-BRU flight from more than 60 U.S. destinations. Mr. Pr�vot also touched on the subject of the Ebola virus, noting that Brussels Airlines is maintaining its operations to outbreak countries such as Liberia and Guinea as long as their daily risk-assessments allow the airline to do so. �We herewith follow the guidance of, amongst others, the World Health Organization as to not leave these countries without connections with the outer world,� said Mr. Pr�vot. Brussels Airlines is a longstanding partner of Africa and believes strongly in the future of the region, so when asked about servicing new destinations in Africa, Mr. Pr�vot noted that while they are constantly exploring new opportunities, at this stage it is still very premature to make any announcement. Olivier Pr�vot, a Brussels Airlines representative in North America, recently spoke at the Africa Travel Association�s (ATA) Presidential Forum on September 22, 2014 in New York City and covered a variety of subject matters. Brussels Airlines is the official carrier of the ATA�s 29th Annual World Congress taking place in Kampala this November. With the start of the traditional winter schedule on 26th of October will East Africa see more of Brussels Airlines flights according to the now available details. Nairobi / Kenya will get additional capacity with a further two weekly flights bringing the overall number to five per week. Kigali too will get another weekly flight upping weekly frequencies from four to five while Burundi�s capital Bujumbura will get one more weekly departure making it three overall. �The nine percent increase in our flight offer clearly illustrates that we continue to invest in Africa and that we are even more responsive to market demand. This is not only good news for our customers who will have more travel possibilities, but also for all freight forwarders who can transport their goods on more flights operated by Brussels Airlines�. There has been some disappointment though in Uganda where the current number of three flights will be maintained. However, Brussels Airlines has been chosen by the Africa Travel Association as their partner for the upcoming ATA World Congress which will be held in Kampala later this year as repeatedly reported here. For travelers using Brussels Airlines for onward flights to the United States it is important to note that the seasonal summer service to Washington DC will be discontinued effective 26th of October � resuming 29th of March 2015 � while the daily flights to New York will continue. Brussels Airlines, member of the Lufthansa Group, is the Belgian airline that offers the widest choice of flights to and from its hub at Brussels Airport. The company counts more than 3.500 employees and 44 aircraft operating some 250 flights daily, connecting the capital of Europe to over 70 premium European and African destinations as well as to New York JFK and Washington Dulles Airport. Brussels Airlines is owned by SN Airholding and is backed up by more than 80 years of aviation experience. Next to a dedicated Business Class, called "b.business", Brussels Airlines offers an Economy Class on its European network that's designed to give business travellers all the flexibility they need, but at economy fares. "b.flex economy+" is a fully flexible fare, which includes flight changes, refunds and fast-lane access - ideal for passengers who want to save time and need comfort and flexibility but at economy prices. The airline also offers very attractive "b.light economy" leisure fares. Brussels Airlines operates about 65 weekly scheduled flights to Africa, connecting 19 business and leisure destinations to and via Brussels. With the intra-African operations of its partner airline Korongo Airlines out of its hub Lubumbashi, Brussels Airlines confirms its positions as a key player connecting Africa to the world. Flying to New York JFK, Washington Dulles or to one of the numerous African destinations on the Brussels Airlines network has become even more comfortable than ever. The airline recently invested 30 million euro in comfortable flatbed seats in Business Class, generous seating comfort in Economy Class, trendy design and revolutionary entertainment technology. Miles & More is Europe's leading airline loyalty program, offering Brussels Airlines passengers a fantastic range of benefits and advantages when flying throughout the world. With direct access to a huge choice of Miles & More airlines and numerous ground partners, Brussels Airlines' frequent flyers can now earn miles faster than with any other program. Brussels Airlines' consistent drive for excellence has been reflected in the awards it has won over the years. Winner for the 9th year in a row of the Belgian Travel Industry�s short-haul airline of the year, Brussels Airlines has also won the long-haul airline of the year on numerous occasions and the airline is consistently in the top 5 in terms of European punctuality ratings. In 2013, the Belgian airline has been rewarded by The Brussels Airport Company with the �Network Development Award Long-Haul Airline� for the introduction of its new daily operations to New York JFK and for the increase of frequencies to Africa. In addition, the Belgian carrier has received the European Commission�s 2013 GreenLight Award for having upgraded its maintenance hangar in Brussels that resulted in a reduction of energy consumption by nearly 70% while the lighting quality was raised. The new long haul product of Brussels Airlines has also received numerous awards. During the Apex Expo, the international trade fair for in-flight product in the US, top professionals from the aviation industry and the specialized press awarded Brussels Airlines with the prestigious Avion award �Best Single Achievement in the Passenger Experience'. Also in terms of service on board, Brussels Airlines was awarded by the leading American business traveller magazine "Global Traveler". At a tasting contest of wines being offered by airlines from all over the world, the airline won the first prize in the category �best wines in Business Class�. In the category of best champagnes, Brussels Airlines ended in the top 3.